Heading up to Thailand i couldn't skip the beautiful island Koh Lanta. This is an island with environmental history as the awesome cleanup community Trash Hero started here. Trash Hunting on my scooter around the island i could barely find any trash: the result of weekly cleanups, proper recycling and teamwork. 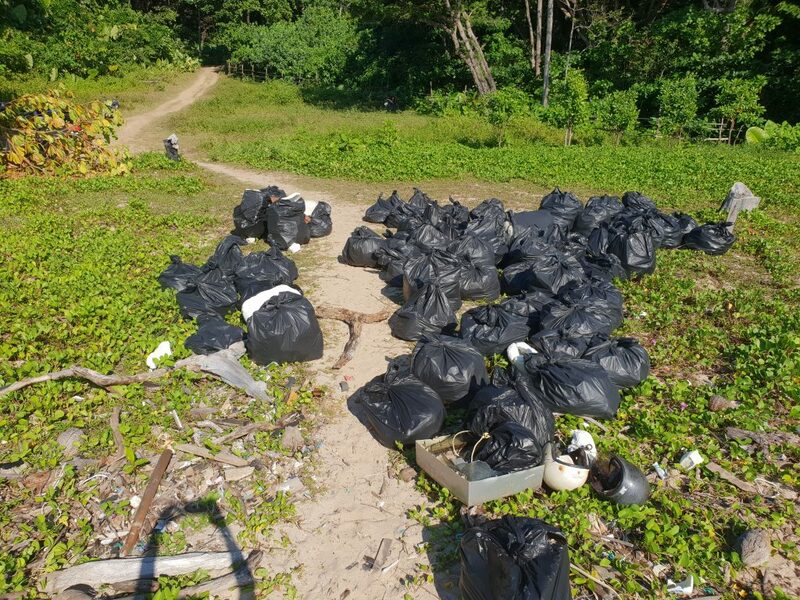 Although one friend of me find a polluted spot on the end of Bamboo Beach, so to end 2018 in a nice way i organized a cleanup there. I didn't have to go around for people because 18 people at Hey Beach, the hostel were i was staying, wanted to join! Keep Lanta Clean & Hey Beach Hostel borrowed two pickups to us for the cleanup. And again: on spot 21 random people start helping us! We've found a lot weird stuff: over 1000 lighters, a lot of needles (what's happening there? 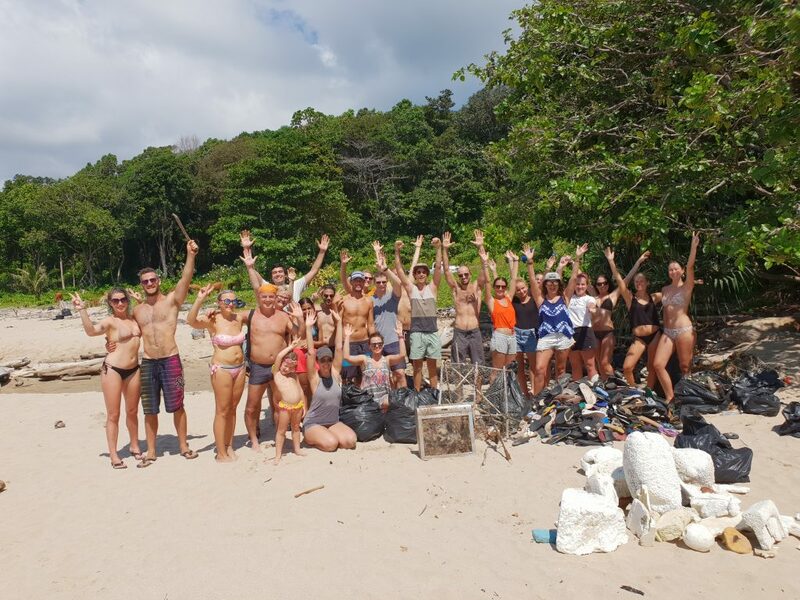 ), over 500 flip flops (see the group picture), more than 1000 glass bottles, lots of plastic, styrofoam and even a television! 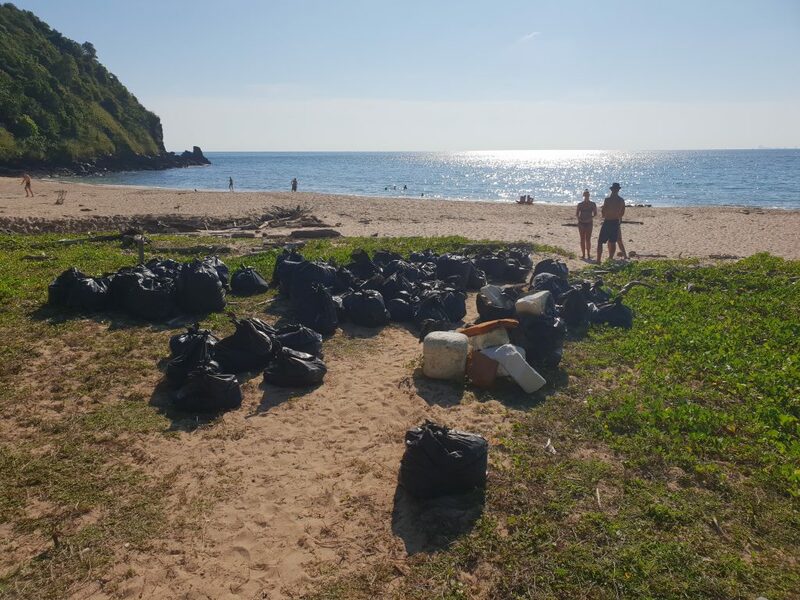 102 bin bags and 984 kilo's! A lovely result. After the group took a dive in the sea they all could join a free buffet as a sign of gratitude for their effort.